Who Will Encourage The Pastors? I have often wondered, who will encourage the pastors? I ask this question in part because I spend a lot of time with pastors. I see them loving and ministering to others, but I realize they also need to be loved on, prayed for and encouraged. Tuesday afternoon the Lord gave us a wonderful blessing. Dawn and I spent the afternoon with two pastors and their wives: Abraham and Martha Velazquez, Rodrigo and Nancy Vallarta. Young couples involved in ministry with Lo Mejor del Trigo in Tijuana. You might remember that we helped build the church in Pipila where Rodrigo and his wife, Nancy are ministering. They are very encouraged by all the Lord is doing in the church. It’s so good to hear how the gospel is entering into that community. Abraham leads worship at Lo Mejor del Trigo, the mother church in El Niño, and he is the lead pastor in Rojo Gomez. He is a very gifted young guy, and he’s great to be around. I love Abraham’s smile and energy when he leads worship. Dawn and I have made it a point to get to know some of the pastors in Tijuana and to love on them, and ask them about their needs. After 24 years in ministry together we’ve learned a few things that we’d like to pass on to our friends who are serving the Lord. One of my mottos is that ministry flows out of relationship. This is even more true in Mexico. Relationships are so important. You can’t shortcut spending time with people to get to know them better and to learn what their needs are. If we observe Jesus’s life we see he spent time with people. He saw that the people had needs, and he came preaching the good news of the gospel, which brought healing and hope. It was a joy to be with these couples. We enjoyed a meal together, and spent time getting to know them. They genuinely appreciated our taking an interest in their well-being. One of the questions they asked was, “what are some of the most important things you’ve learned in your more than twenty years of ministry?” We talked about the importance of growing deep in grace, being humble and always being a learner among other things. Abraham asked, “how can you emphasize grace, and yet not encourage people to think they can live however they want to?” That’s a really good question, which led to some great discussion. After this time with our friends I feel filled up today, my cup is overflowing! Even though we sought to be a blessing to them, we received a huge blessing ourselves. Thank you Jesus! 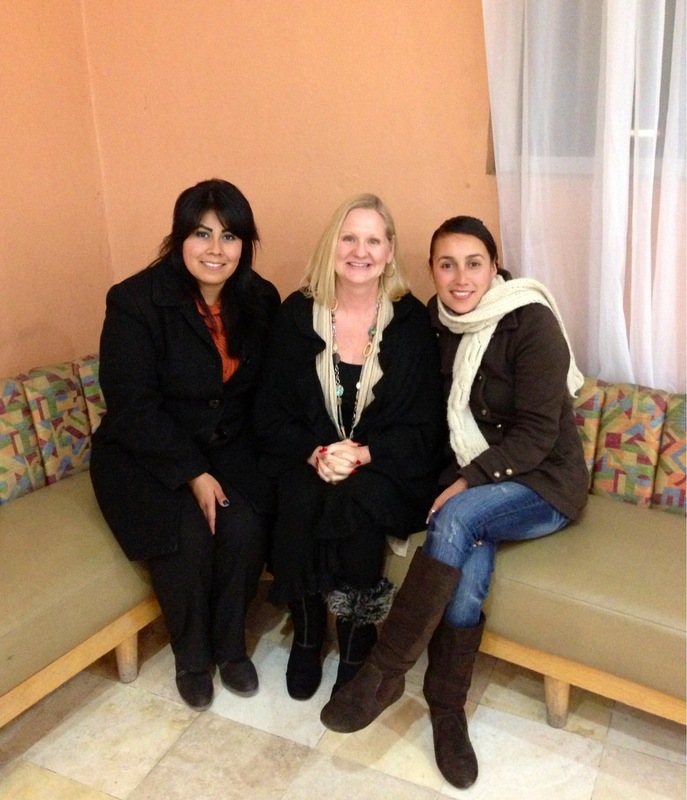 Join us in praying for our friends who are serving faithfully in Tijuana! I’ll be building homes in Mexico (www.mexicocaravanministries.com) this summer with a group of High School students from our church. We’ll be in Tijuana! Looking forward to God doing great things. I’m sure you will have a great experience!